The IIIC is delighted about the good news from Washington, DC regarding the Deferred Action policy for over one million young, talented immigrants who were brought to the United States as children. The new policy enables DREAM-Act-eligible immigrants to apply for “deferred action,” a temporary status that allows them to live, work and pursue higher education without fear of deportation. Those who dream of going to college will likely have access to in-state tuition in Massachusetts. As reported in last media this week, thousands of young immigrants are already lining up throughout the country to apply, and it is estimated that as many as 12,000 people could be eligible in Massachusetts. 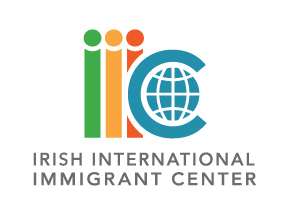 Some may need professional legal assistance and the Irish International Immigrant Center can provide those legal services. If you are considering applying, please be careful about where you seek your advice. The IIIC is running Information Sessions on Deferred Action Policy on August 23 at 1:00 pm, August 28 at 6:00 pm September 17 at 10:00 at 100 Franklin Street. Please call 617-542-7654 for more information.